Algeria (Morning Star News) – A case that began with police in Algeria stopping a Christian suspected of carrying Bibles in his car ended yesterday with a large fine for the church leader. (World Watch Monitor) The daughter of Slimane Bouhafs, an Algerian Christian who has spent the last 18 months in prison for insulting Islam and its prophet, has announced her father’s release. Slimane Bouhafs, a convert from Islam, was arrested on 31 July 2016 for posting a message on social media about the light of Jesus overcoming the “lie” of Islam and its prophet. He also published photos showing the execution of a civilian by an Islamist terrorist. 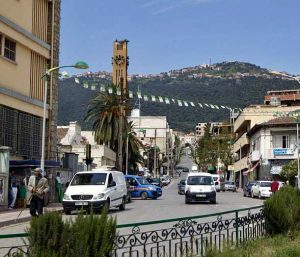 The assassination of a French tourist by militants in Algeria has raised the fear of new terrorist attacks in the country. Hervé Gourdel, 55, was beheaded on Sept. 24 by a radical Islamist group “Soldiers of the Caliphate,” linked to Islamic State in Iraq, in the northeastern region of Kabylie. Gourdel, who was an experienced hiker, was kidnapped on Sept. 21, along with five Algerians, but his companions were released 14 hours later. 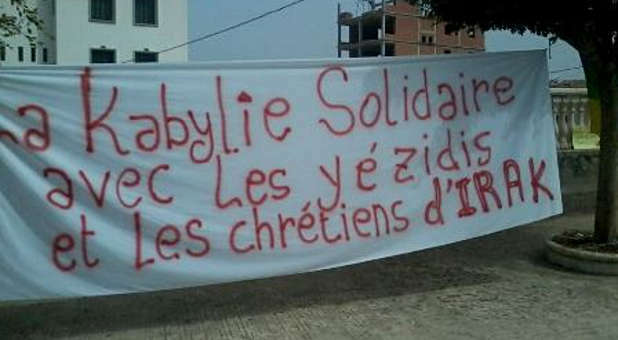 Now, members of the Christian community in Bejaia, one of the main cities in Kabylie, are particularly concerned over the threats posed by militants. “If we consider the fate reserved by IS fighters for Iraqi Christians, there is genuine reason to express concerns over the church in Algeria. That is why we must be vigilant,” said Omar, 31, a member of a Protestant church in Bejaia. VOP: Please pray for Christians needing Divine peace and to not be overcome by fear. TIZI OUZOU, Algeria (Morning Star News) – Nearly nine months since an Algerian court last heard his case, a Christian convert from Islam still awaits a ruling on the appeal of his unusually harsh sentence for allegedly “proselytizing” and defaming Islam and its prophet. Krimo Siaghi (also known as Karim Siaghi) was arrested on April 14, 2011 in Oran, 470 kilometers (292 miles) west of Algiers, after a religious discussion with a phone shop merchant. Prosecutors had requested a sentence of only two years in prison and fine of 50,000 Algerian dinars (US$690), but Siaghi was sentenced to five years – the maximum under Algerian law – and a fine of 200,000 dinars (US$2,760). While Islam is the state religion in Algeria, apostasy (leaving Islam) and conversion are not illegal, according to the U.S. State Department’s 2012 Report on International Religious Freedom. Siaghi, a 33-year-old married father of a toddler girl, told Morning Star News that after his arrest, police officers and the judge threatened him. “You’re possessed by the devil,” one of the officers shouted at him, said Siaghi. He said another police officer threatened, “If you were my brother, I’d kill you.” Several policemen interrogated the “renegade” in turns, he said. Siaghi, who is not in prison pending his appeal, said he had gone to his neighborhood phone shop where the merchant questioned him about his religious beliefs. After Siaghi told him he did not believe in Islam since meeting his Savior, Jesus Christ, the seller tried to force him to recite the creed for converting to Islam. When Siaghi refused, the seller filed a complaint of “proselytizing” – trying to change another’s religion, whereas “evangelizing” is proclaiming the work of Christ in one’s life – and defaming Muhammad and Islam. Siaghi denies he said anything against Islam. The phone shop seller failed to appear at the hearing, though his statement of the accusations were read in court. The merchant had reportedly said he saw Siaghi give a Christian CD to another person, but Siaghi said the seller did not include that claim in his court statement. Siaghi’s lawyer said prosecutors presented no evidence against him. More than a year later, another hearing took place on Nov. 19, 2012 at the Criminal Court of Oran. Siaghi’s lawyer, Mohamed Belkacem, told Morning Star News that the merchant, his brother and his nephew, a minor, all present in the shop during the exchange, falsely testified that Siaghi had insulted Muhammad and the Koran, and that he had tried to persuade them to convert to Christianity. A report detailing the charge by the three witnesses was to be forwarded to the judge of the Court of Appeal of Oran. The appeals court was to schedule another hearing at which a ruling would be handed down. Christian leaders in Algeria believe Algerian officials influenced the judge’s harsh sentence and that court delays after a conviction are designed to avert international attention as well as appease Islamist anger; meantime, Christians languish in legal limbo. In a climate of intolerance exacerbated by behind-the-scenes manipulations, many Christians believe religious freedom has been subjugated to ideological interests as authorities have stepped up prosecution of Christians to show good will toward Islamists. Algeria’s population of 37.1 million is more than 99 percent Sunni Muslim, according to the State Department. Christians account for only .28 percent of the population, according to Operation World.